The battery cell in the 44mm Series 4 is rated at 1.12 watt-hours against the 42mm Series 3's 1.34, the sheet indicates. Similarly, the 40mm Series 4 has just 0.86 watt-hours versus the 38mm Series 3's 1.07. Apple nevertheless markets the Series 4 as achieving the same 18-hour battery life as before. That's presumably because of improved power consumption, for instance through the adoption of LTPO (low-temperature polycrystalline oxide) for its display. The sheet was highlighted by MacRumors earlier today. 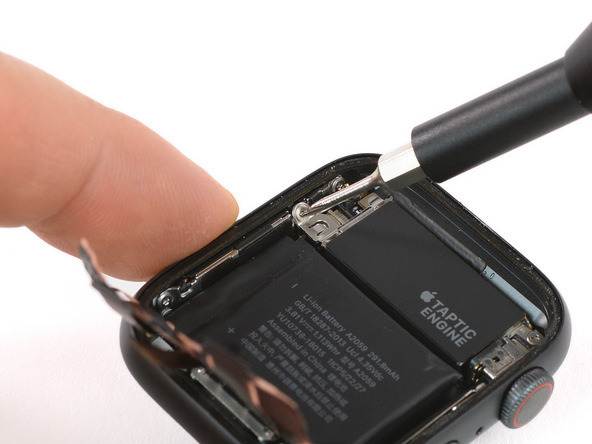 Better battery life is still one of the more common demands for the Apple Watch. Models can sometimes last two days or more with light use, but only a day or less when people take advantage of power-hungry features like workout tracking or cellular phone calls. Rival smartwatches, like those from Fitbit can run for three or four days, even with the inclusion of additional features like sleep tracking.